Firefly was recently featured on PBS Newshour in an excellent piece about EMW’s Breath of Life program to save newborn lives. The piece outlined the amazing work that the East Meets West Foundation and MTTS have done in Vietnam. Before 2000, the mortality rate of the neonatal intensive care unit was fifteen percent. Last year it was less than two percent. Dr. Ngoc Diep Pham explained, “In Vietnam, the mortality rate has come down by two-thirds since 2009. Life for doctors and patients is far better.” Thanks to the East Meets West Foundation and MTTS for discussing our partnership as part of this great feature! 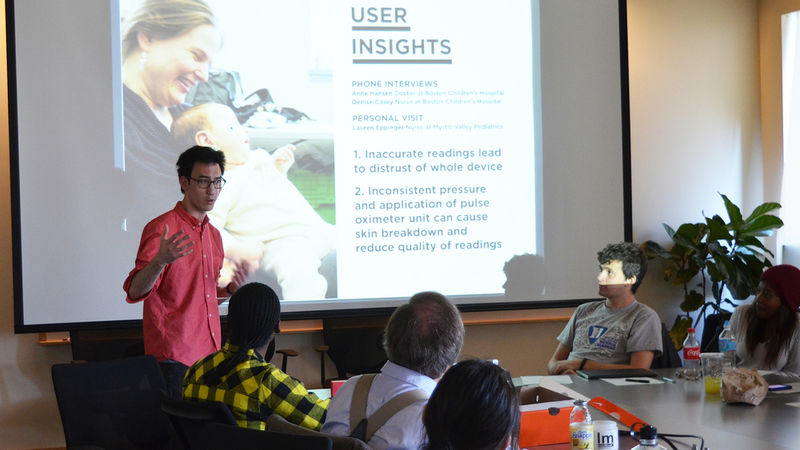 Today, Design that Matters kicked off a series of design workshops and product implementation coaching with Dr. Ryan Carroll to design an innovative Continuous Positive Airway Pressure (CPAP) device to save babies from respiratory distress and pneumonia. Pneumonia is the leading cause of death in children under five worldwide - more than AIDS, Malaria, or TB. The goal of our collaboration is to expose the CPAP team to design thinking methods and help the team construct strategies for implementing CPAP to have massive impact for the poor in LMICs. In our first work session together, we were joined by Smitha Gudapakkam from the MGH Center for Global Health. We covered a lot of ground, including forming a point of view about the need, users, and context for the project; creating an hypothesis for how the program will reach massive impact; prioritizing critical assumptions for the project to reach impact; and then brainstorming over 50 ideas for how how the CPAP could be supplied to hospitals. Throughout the workshop, we used quick sketching techniques to make ideas easier to understand and more memorable. In one exercise, we drew slider bars to better depict tensions inherent in the project. One of the central tensions is between making a device that is extremely easy-to-use right out of the box, versus an assembly of off-the-shelf parts that can be more easily repaired. In the United States, CPAP is one of the few devices that is often assembled by healthcare professionals from off-the-shelf parts, even at the highest level hospitals. Ryan noted that having local technicians and healthcare providers build the devices themselves becomes a critical milestone in their training, building confidence to treat babies. The workshop was just in time for Ryan to return to Uganda and put these new methods and ideas to work. We look forward to hearing back from Uganda and to taking design thinking even further in our next workshop this Fall! The CPAP is the center of a novel education program to enable hospitals to diagnose and effectively treat respiratory distress, while building capacity to repair their own CPAP devices locally. The project received the MGH Center for Global Health CAMTech Innovation Award in 2013. Dr. Ryan Carroll is currently co-creating the training program and device with team members from the Mbarara University of Science and Technology and Mbarara Regional Referral Hospital in Uganda. In June, DtM manufacturing partner MTTS received a Certificate of Free Sale (CFS) from the Vietnamese Ministry of Health for Firefly Newborn Phototherapy. Recognized by the ASEAN member nations, this type of medical device regulatory approval clears Firefly for sale in ten countries in the region--a market of 600 million people with over one million babies in need of phototherapy every year. MTTS is now pursuing CE Mark approval which will open access to many more countries around the world including India, a country of 1.2 billion people and over two million babies in need of phototherapy each year. Dassault Systèmes and SOLIDWORKS have just matched our $10k Indiegogo campaign! Dassault Systèmes and SOLIDWORKS have just matched our $10k Indiegogo campaign bringing our current total to over $20,000!! Thank you for supporting our Indiegogo campaign and helping Design that Matters fight pneumonia, the leading cause of death in children worldwide. We are proud to announce the support of our premier platinum sponsor, Dassault Systèmes and SOLIDWORKS. Design that Matters uses SOLIDWORKS® 3D software to design each of our products, from early sketches through final design for manufacture. Check out this 5 min video to see how DtM used SOLIDWORKS to design Firefly phototherapy to treat 500,000 newborns with jaundice in Southeast Asia and Sub-Saharan Africa. This Spring, we have already used SOLIDWORKS to bring early ideas to life for the Pelican project. Funding provided will diagnose 5,000 babies. Thank you so much Dassault Systèmes and SOLIDWORKS! We are happy to announce that Firefly is currently being featured in its first museum! Starting on May 25th, Firefly has been a part of the Museum of Design Atlanta (MODA) show titled, Design for Social Impact. The exhibit runs till August 3rd so if you are in Atlanta, you should try to swing by and see one of the first Beta units that was used in our initial clinical trials. We hope that the exhibit helps to inspire a new generation of great minds willing to use their skills to make the world a better place! What a Great First 24 Hours! Thank You to Our Pelican Indiegogo Sponsors! We could never have succeeded without our corporate sponsors who supported us from the very beginning of the campaign. Sponsorship gave us the early momentum that led to our ultimate success. We have worked closely with all of our sponsors and recommend their services highly! Please take a minute to check out the great work of Premier Platinum Sponsors Dassault Systèmes and SOLIDWORKS, Gold Sponsors Optikos Corporation and Boston Design Solutions, and Silver Sponsor Supporting Strategies. 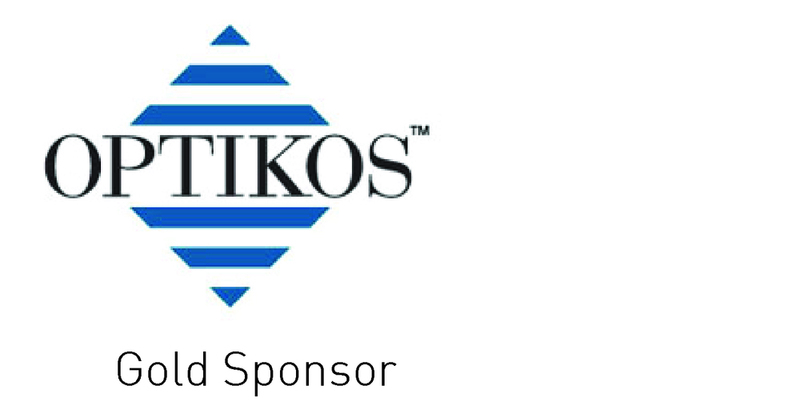 The Optikos Corporation optical engineering team, along with CEO Stephen D. Fantone, has donated key technical insight and strategy from our early days designing the DtM Kinkajou Microfilm Projector to our most recent launch, Firefly Phototherapy. We look forward to solving the toughest technical problems with Optikos during Project Pelican. Funding provided by Optikos will diagnose 1,000 babies. Thank you so much, Optikos! Boston Design Solutions provides outstanding hardware and software engineering design services on-time and on-budget. BDS specified, designed, built, tested, and successfully delivered the electronics for Design that Matters’ three Firefly clinical evaluation prototypes. To-date, the devices have been used in Vietnam for over 850 days collectively, treating over 150 jaundiced newborns and defying the term “prototype”. Funding provided by BDS will diagnose 1,250 babies as part of DtM’s Pelican project. Thank you so much Boston Design Solutions! Supporting Strategies makes our bookkeeping easy so Design that Matters can focus on saving lives. One morning, we arrived at the DtM office to find that the box with all our paper tax documents was missing! We’d left them too close to the trash can, and they were mistaken for trash! We thanked our lucky stars for our partnership with Supporting Strategies, who ensures that copies of all our paper records also live in the digital world. Funding provided by Supporting Strategies will diagnose 500 babies. Thank you so much Supporting Strategies!